In the mid-1990’s, the practice (then Prior Manton Tuke Partnership) was introduced to the work of the Abbeyfield Society through Brian Powell Architects. They had wide experience of designing housing for older people, with a special interest in therapies related to dementia. The interests of the two practices coincided, eventually resulting in a merger to form Prior Manton Tuke Powell. 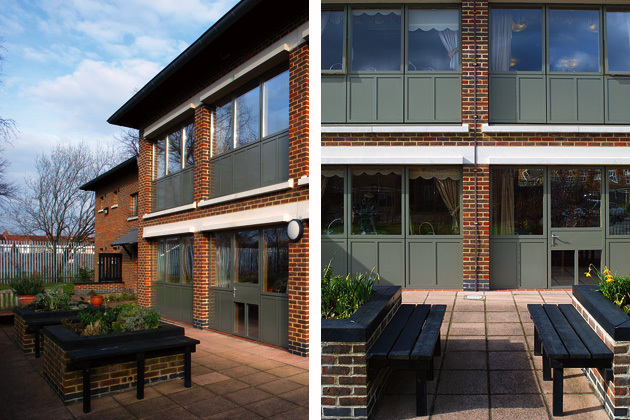 In addition to a number of smaller schemes undertaken to upgrade existing Abbeyfield houses, we were commissioned by the Abbeyfield Richmond, Thames and District Society to design a new building in New Malden. This would house 36 older people with high care needs, many with forms of dementia. In undertaking this development, the needs of residents were carefully and thoroughly researched in conjunction with the University of Stirling. Professor Mary Marshall, Head of the Dementia Services Unit, became personally involved with the project. Today, the building remains an exemplar EMI unit in the Abbeyfield group.